Thanks for praying for the earthquake relief in Nepal. 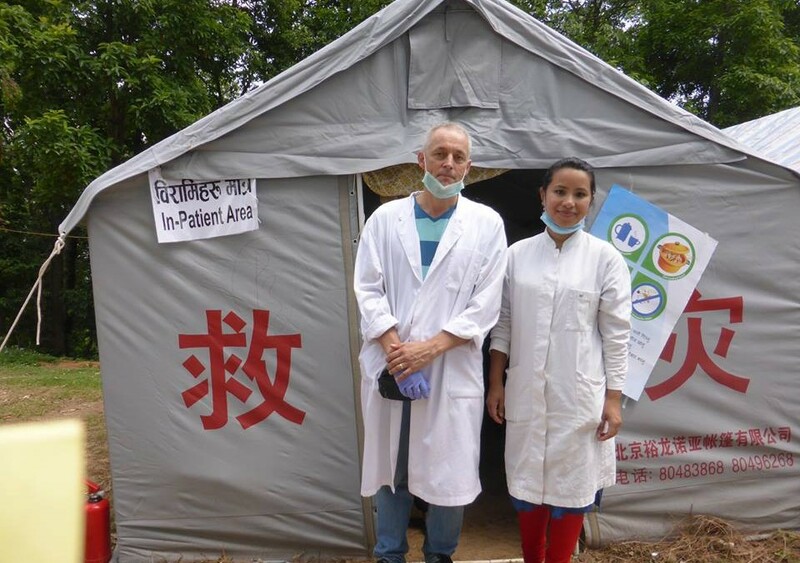 Darren was able to be there for two weeks, spending most of his time at Dhulikhel Hospital (where we used to live and work), helping the physios with the inundation of patients from nearby villages. There are triple the normal number of patients in the hospital at the moment. One room has 72… and it wasn’t even a ward before. There are more than 40 spinal cord injuries in the hospital and hundreds of fractures and head injuries. Everyone has the same sort of story – they were sitting inside their house and a concrete wall or roof fell on them and they were trapped inside for hours and many of their family members have died and their villages have been destroyed. It’s heart breaking. The local hospital staff have been amazing though, working around the clock, and giving out relief packages, even though some of them have lost their own homes. Darren also spent time in Kathmandu, with Nischal (the head of the Nepal Physio Association) meeting with the Minister of Health, and helping to coordinate the rehab services across the country, alongside Handicap International, ICRC etc, with everyone focusing on working together and using Nepali resources well, which is all brilliant!